Silversea Cruises has launched a dramatically redesigned website (www.silversea.com). With special effects designed to capture the essence of luxury travel, the site opens to a muted-silver seascape that comes alive when colourful animated photography fades in and out - as if being revealed by a curtain drawing across a stage. From there, images by award-winning photographer Dana Neibert further reinforce the Silversea brand image by creating an ambiance of style and sophistication that is carried throughout the site. "We've gone beyond our goal of making the new website more intuitive and user-friendly," said Linda Schultes, Silversea's vice president of worldwide marketing. "Travel often lets us live out our dreams, so we added a few dramatic touches to the website experience. The new design provides an elegant stage where you can indulge your imagination, while enjoying easy access to detailed information that will help in planning your journey." Visitors can readily navigate the new site by clicking on tabs that offer information on destinations, ships, services, programs, special offers and more. New animated itinerary maps are complemented by up-to-date port descriptions supplied by Fodor's Travel, one of the world's leading providers of travel information. And a new interactive deck plan tool enables visitors to view ship details, images, three-dimensional suite diagrams and 360-degree virtual tours. Additionally, a new Google custom search feature has been added to improve accuracy of keyword searches on the site, plus social media share options now appear on each page, enabling visitors to share content on Facebook, Twitter, blogs and other popular sites. The redesigned Silversea Expeditions microsite (www.silversea.com/expeditions) displays a distinct look and feel unique to the expedition brand. Exciting new images and videos of the Prince Albert II in Antarctica, the Arctic, Central and South America offer visitors a glimpse into the amazing world of expedition cruising. Other improvements include an enhanced Voyage Journal section located on the home page, expanded Expedition Team section with profiles and schedules, and the debut of the Silversea Expeditions Blog, providing regularly updated news, commentary and expedition highlights. Reflecting Silversea's global appeal, the new website displays the appropriate country-specific version of the site based on the currency of the visitor's geographic location. In the coming months, the site will also launch content written in German and Spanish. Accor hotels across Australia have launched an innovative digital signage solution set to capture the attention of over 5.8 million guests annually. Accor's digital signage solution, managed by leading agency Moving Tactics, offers a clean, uncluttered advertising environment with 150 digital panels installed in hotel lift foyers, reception areas, bars and conference areas. The panel placement has been designed to target valuable guest downtime in high dwell areas. In a first for the industry, Accor has installed these panels across 53 of its Pullman, Grand Mercure, Novotel, Mercure, Ibis, All Seasons and Formule 1 hotels, ensuring that digital messages will reach the full spectrum of the market - from high-end business travellers (60%) to value seeking holiday makers. The digital panels will be rolled out to a total of 150 hotels in Australia over the next 12 months. "The digital signage is an excellent vehicle for tourism operators, credit card companies, airlines, financial services, rental car companies and many more keen to reach both Australian and overseas travellers," says Vice President Accor Australia, Simon McGrath. Unlike traditional out of home advertising which can often get lost in the traffic, Accor hotels' guest traffic – around 10,000 guests per day - is a largely captive audience rather than one of ad hoc passersby. Guests stay an average of two nights and utilise areas where digital signage is displayed multiple times during their stay. For potential advertisers this equates to a premium, value for money media option. Moving Tactics is now putting to market, advertising partnerships with category exclusivity. Packages start from just $15 a day per hotel, including unlimited material change-outs. "The digital signage screens create huge advantages for advertisers keen to get close to their target markets." Screen information and advertising can be updated 24 hours a day, seven days a week, making this channel a responsive and dynamic medium that can be used to create targeted communications with what has been elusive audience to date. Kiwi Collection's new website has won an esteemed WebAward from the Web Marketing Association for Outstanding Achievement in Web Design. This is Kiwi Collection's second such award, winning on a previous occasion in 2006 for their original site. 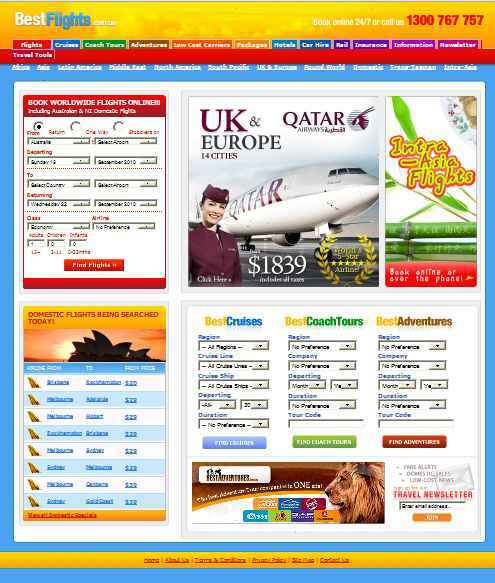 Since this new site's launch in April of 2010, Kiwicollection.com has seen traffic increases of 275%, reservations increases of 312%, and average booking values of USD 1,260. Now in its 14th year, the WebAwards is the premier annual website award competition that names the best Web sites in 96 industries while setting the standard of excellence for all website development. Kiwicollection.com can attribute its success to a number of key themes, two of the most significant being, intuitive usability, and timeless design. Kiwi Collection's proprietary and unbiased rating criteria takes into consideration generosity & value, room-type, food & beverage, spa & fitness, attention to detail, wow/hip factor, architecture & design, location, and fit-to-promise. Over 2100 hotels in 127 countries all feature weather forecasting and dynamic best-rate pricing. Hotels featuring a Kiwi Advantage offer free perks that differ from hotel to hotel. A subset of the collection, the Visa Luxury Hotel Collection, offers Visa Premium cardholders perks such as free upgrades, complimentary Internet or valet parking, continental breakfast, and food & beverage credits. Kiwi Collection also offers a 24/7 Reservations Team, for those looking for that human connection when booking their hotel. Kiwi Collection, headquartered in Vancouver, with offices in Sydney and London, is an independent curator of hotels founded by people with a passion for travel. Every hotel, including those belonging to many well-known international brands, is personally reviewed before being invited to join. Hotels cannot pay to be included in the collection, and are excluded if they no longer meet Kiwi Collection's strict criteria. The collection currently features over 2100 hotels in 127 countries. Kiwi Collection was incorporated in 2003 to provide mass affluent travelers and travel agents with an up-to-date, unbiased, and trusted resource of the finest hotels around the globe. The portfolio reaches its target audience through strategic partnerships and online via kiwicollection.com, which includes Wow Travel, Kiwi Collection's Digital Travel & Lifestyle Magazine. Kiwi Collection's large format coffee table book series Overnight Sensations: Hotels for the Discerning Traveler is edited by co-founder and president, Philippe Kjellgren, and is published and distributed globally by San Francisco's Chronicle Books. In 2010 Visa selected Kiwi Collection to create the Visa Luxury Hotel Collection - a global initiative for premium cardholders. To mark 50 years of helping intrepid travellers reach their dream THAI destinations, we want to celebrate the unforgettable experiences that come from travelling the world. Which is why we’re looking for people who not only love to travel, but love writing about it to inspire and inform others. Each month we will select one member of our ROP community to travel to their dream THAI destination and then blog about the experience. If your blog is one of the most popular, you will even get the chance to travel more than once. The resulting blogs will be posted here, so even if you don’t win you can still read the collection of enlightening and informative travel stories. So if you’re as good with a pen as you are with a map and fancy yourself as the next Thai Airways International blogger. Utrecht, The Netherlands - Eurail Group's fiscal year has gotten off to a good start as the eco-friendly company announces that sales have risen by 9% in the first six months of 2010; these results are compared to the same period last year. A $6000 fine imposed by a court on an online travel agent who misled a customer about airfares is a warning to the industry, Western Australia's consumer protection watchdog says. 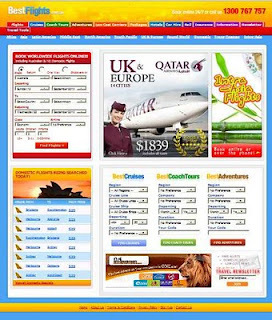 The Commissioner for Consumer Protection brought two charges against Best Flights Pty Ltd, which operates www.bestflights.com.au, for breaches of the Fair Trading Act. The online agent was fined $6000 and ordered to pay court costs, reported Perth Now. The court heard a consumer went on the Best Flights website and found a Perth to Melbourne flight for $159 and a return flight at the same price. But after proceeding to the booking stage the total cost was displayed as $579.20 as opposed to $318. Best Flights refused to honour the $159 flight prices. It conceded that a false representation was made but blamed pricing data received from the airline and a ticket booking system provider, which it said did not indicate pricing restrictions in relation to flight times. The magistrate did not accept the defences and found Best Flights had not done enough to comply with its obligations under the Fair Trading Act to ensure information it passed onto consumers was correct. WA's Commissioner for Consumer Protection Anne Driscoll said the case was an important reminder to travel agents and other retailers that they could not advertise prices they were not prepared to honour. The new Australian Consumer Law, which comes into full effect in January 2011, will mean even greater penalties for false and misleading representations, she warned. Tourism Fiji has attributed strong growth in the number of Chinese visitors to direct Hong Kong-Nadi services established by Air Pacific. Tourism Fiji CEO Josefa Tuamoto has applauded Air Pacific’s decision to add a third service on the route from next December. Tuamoto said the airline’s decision to implement the Hong Kong-Nadi service ten months ago had been more than vindicated by the substantial increase in Chinese visitor arrivals Fiji had welcomed since Air Pacific commenced flying on the route. Tuamoto said while the numbers came off a relatively small base, the 7,684 Chinese visitor arrivals recorded for the period January to June 2010 represented a close on 32 percent increase over the same period last year. Tuamoto also paid tribute to the efforts the local tourism industry in raising Fiji’s profile in China. “We’ve put in some very hard yards to attract and engage this prime source of visitor arrivals." This, he said, included attending major consumer and trade events and staging travel agents workshops in Guangzhou and Hong Kong. Last month Tourism Fiji launched the national tourist office’s first ever Fiji travel planner for the Chinese market. on Saturday evening (28 August 2010). with its exemplary combination of product and service." 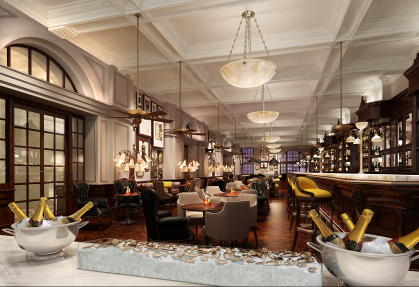 right on the doorstep," says general manager Michael Pownall. centre experience for Capetonians and international guests alike. magnificent lobby, which was once the main banking hall. fluted marble columns, all of which have been meticulously restored. kept the banking hours in 1932 has been polished and repaired. Leading off the lobby are a formal lounge, cocktail bar and cigar bar. be interfaced with the television. historic city centre hotels, the Pierre in New York. considered one of the top Indian restaurants in the UK. Etihad Airways is celebrating the maiden commercial flight of its first female Captain, Sophie Blanchard. Captain Blanchard, a French national, took the controls of the left hand seat in the flight deck for the first time yesterday on flight EY17 from Abu Dhabi to London Heathrow. She joined Etihad in 2007 as a First Officer, after initially flying for Etihad Crystal Cargo with Air Atlanta. Since joining Etihad, Captain Blanchard completed the necessary training and passed the rigorous checks to gain her fourth stripe. Captain Richard Hill, Etihad Airways' Chief Operations Officer, said: "We congratulate Sophie on becoming Etihad's first female Captain. It's a great achievement and well deserved as she has shown tremendous dedication to achieve the rank of Captain." Captain Blanchard said: "The Company has been very supportive in my aim to become Etihad's first female Captain and the first woman to take full command of a commercial flight." Captain Blanchard started her aviation training after graduating from high school. She gained her commercial license at 18 years old in the US and began flying cargo aircraft for a Belgium-based company. Her work took her to Africa and around Europe before she joined Icelandic company Air Atlanta. At Air Atlanta Captain Blanchard began flying leased flights for Etihad Crystal Cargo. She has accrued more than 6,500 hours of flying time. Wolgan Valley Resort & Spa team at the 2010 HM Awards. With a one year anniversary just around the corner, Wolgan Valley Resort & Spa has even more reason to celebrate, after receiving the most hotel awards at the 2010 HM Awards for Hotel and Accommodation Excellence. As Australia's first conservation-based luxury resort, Wolgan Valley was honoured with six awards including Winner in Unique Accommodation, Best New Hotel, Regional Property, Hotel Chef, and Environmental Program with a Highly Commended in the Resort category. Now in its eighth year, the annual HM Awards recognise the leaders in hospitality and honour the achievements of excellence in a wide range of categories in the accommodation industry. With a record 1,300 entries received this year, the highly competitive awards span across Australia, New Zealand and selected South Pacific nations. Joost Heymeijer, General Manager, Wolgan Valley Resort & Spa said: "This is an outstanding achievement for a resort that has been in operation less than one year. These awards recognise the efforts of the entire Emirates Wolgan Valley team who strive for unparalleled service and superior standards every day." "To date Wolgan Valley has been a great success and has introduced a new era of luxury to Australian and international travellers. Now as we reach our first anniversary we look forward to continuing setting the benchmark for excellence within the industry," said Mr Heymeijer. A scenic three-hour drive from Sydney, Wolgan Valley Resort & Spa is nestled between two of Australia's most prominent national parks and borders the Blue Mountains World Heritage Area. Occupying just two per cent of a 4,000-acre conservancy reserve, Wolgan Valley combines the expectations of the high-end traveller with a commitment to conservation of threatened and endangered wildlife, ecological and environmental sustainability. Conde Nast US and Conde Nast UK "Hot List" (Spa and Resort categories). National Trust Heritage Awards - for its work in restoring the original 1832 farmhouse. 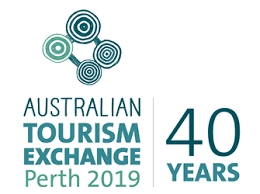 Australian Hotels Association (NSW) Accommodation Awards for Excellence for Best Environment Initiative, Regional Deluxe Accommodation of the Year and Outstanding Contribution to Tourism. Travel + Leisure's "It List 2010"
The resort was the first hotel in the world to achieve carbon neutral certification from CarboNZero, an internationally accredited greenhouse gas certification scheme. Wolgan Valley is also a proud member of Leading Hotels of the World, the world's largest luxury hospitality organisation, representing more than 450 of the finest hotels, resorts and spas around the world; and is a founding member of Luxury Lodges of Australia, an association launched in May to promote the uniquely Australian breed of luxury experiential lodges, domestically and internationally. Asia's First Waldorf Astoria Opens! (Shanghai, September 8, 2010) – A legendary Shanghai pleasure palace dating back to the city's 'Pearl of the Orient' heyday has been returned to its former glory by HBA/Hirsch Bedner Associates and re-opened as the Waldorf Astoria On The Bund. The iconic English Renaissance-style landmark, dating back to the Victorian era, was once Shanghai's most exclusive and prestigious social club with bowling alleys, restaurants, an oyster bar, games rooms, barber's shop and two wine cellars. Its fabled Long Bar, extending 35 metres, was once the longest bar in the world. "Restoring this forlorn property was a tremendous honour and true labour of love, the ultimate challenge of taking historical context and adding up-to-date convenience and style" said HBA Principal, Ian Carr. The building on The Bund has, over the years, accommodated office space, a casino, motion picture sound stage and, most recently, a fast food restaurant. 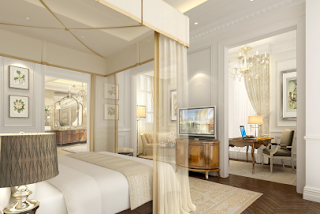 But it is now reborn, recapturing the spirit and romance of its bygone era while creating a new benchmark in luxury travel for Hilton Hotel Corporation's first Waldorf Astoria in Asia. One of the finest architectural gems along Shanghai's waterfront promenade, the whitewashed façade is adorned with Palladium columns, intricate gables and a pair of sculpted rooftop cupolas. The prestigious new hotel features a total of 266 rooms, four restaurants, two bars, a patisserie, lobby lounge, extensive banqueting facilities, swimming pool, health club and spa. Throughout the painstakingly careful restoration, HBA designers were mindful of maintaining the highest degrees of period accuracy, requested by the Shanghai Cultural Relics Management Commission which oversees the city's heritage buildings. "That the Shanghai Club has its roots in the late Victorian era was never far from mind," said Mr Carr, who was also co-lead designer. "Restoring or converting heritage property is the ultimate design challenge." Because of the Shanghai Club's wide popularity, the photographic archive was fortunately immense, guiding restoration of nearly every element from its neo-classical interior and English colonial-inspired furniture to decorative lighting and antique Chinese accents and artifacts. Connie Puar, HBA Principal and co-lead designer, said: "Restoration demands extreme attention to detail combined with flexibility. When we find a column where we did not expect it, we have to amend in a way that won't compromise the design, which can be a challenge. Every item physically attached to the architecture—from ceiling molding and panels in walls, to the Sicilian marble columns and stained glass imported from England—is a restored or recreated heritage element." After removing decades of accrued material, HBA found the original interiors to be quite enduring. Paula O'Callaghan, Associate and senior FF&E designer, said: "A good amount of original surfaces like false moldings and drop ceilings were there, hidden underneath movie props. We also found the Shanghai Club's fabled Long Bar painted in KFC's palate." The Waldorf Astoria Club also resurrects the Long Bar. At one time, patrons could gauge their relative social status by where they stood along it. A world-famous destination, the original Long Bar was lost during the Japanese occupation, but is now recreated from photographic records to original specifications, from dark timber paneling and white marble counter to rich, dark masculine furniture. The most intentionally romantic space in the heritage building, The Grand Ballroom has achieved a level of refinement simply unimaginable in its early days, bathed in light by heritage-inspired crystal chandeliers while retaining its original warm, dark wood wainscoting, buff painted plaster walls and intricate ceiling and wall moldings. A remarkably scaled Oriental style rug covers the entire dining area. HBA's design team were called on to imagine a room that might have satisfied visiting royalty in 1911, and succeeded in making classical European style more romantic and refined than any original could have been, with oversized marble bathrooms, walk-in closets and dramatic fireplaces. Décor is sumptuous with exquisite chandeliers, dark mahogany period furniture and Chinoise, antique reproductions. "Ultimate design of the Waldorf Astoria Club delivers an unhurried feel of refined indulgence; as timeless today as it would have been a century ago, and able to stand next to the Waldorf Astoria on Park Avenue on equal footing," added Mr Carr. "In its rebirth as the Waldorf Astoria Club, Number 2 The Bund is again an address associated with high style, gracious civility like its cherished predecessor – a bastion of civility and style with the finest luxury experiences in Shanghai." HBA creates inspired, brand-defining design experiences that evoke a distinct sense of place, while delighting the world's most discriminating travelers. HBA's portfolio spans more than 80 countries and encompasses the planet's finest nameplates. HBA spaces are a fusion of tradition and innovation, craft and the cutting edge. From 13 studios worldwide, HBA designers blend incomparable industry experience with a passion for artistic exploration and a philosophical approach to each project as a discovery opportunity. By expanding the aesthetic envelope, the company has developed strong, inspired identities that set new standards for luxury and comfort. For more information, please visit the HBA website at www.hbadesign.com. No deal for Virgin Blue and Delta Air Lines alliance, for now. The US Department of Transportation has "tentatively" turned down the proposed anti-trust immunity between Virgin Blue Group and Delta Air Lines on joint services between Australia and the United States. The government department said that the planned alliance had not demonstrated that it would "produce sufficient public benefits to justify a grant of antitrust immunity." In reaching its tentative decision, the DoT said that both Virgin and Delta were relatively new to the Australia-US market, had not shown developed plans to operate as commercial partners and had co-operation to only "a handful of routes", which limited the alliances public benefits. It also said the tie-up had failed to provide what positive effects it would offer to the consumer, "such as lower fares or increased capacity." Virgin and Delta have two weeks to provide the DoT with reasons as to why the preliminary decision should not be made final, with an outcome now due by the end of this month or early October. More information as in today's Travel Daily. The U.S. Department of Transportation (DOT) today issued a preliminary denial of Virgin Blue and Delta Air Lines' application for antitrust immunity in relation to their proposed joint venture on the Trans Pacific Route. Both airlines will be working with DOT over the next 14 day period to respond to the concerns raised. Virgin Blue strongly believes the proposed alliance with Delta will be good for consumers. International travellers bound for the New Zealand city of Christchurch are being reassured that 98% of tourism operators are open for business following Saturday’s serious earthquake. Christchurch airport is fully operational and the tourism community is working together to make sure guests are well looked after. Those visitors due to arrive in the region are being asked to check with their travel agent or accommodation provider to double check arrangements. Christchurch is in recovery mode following the serious earthquake which measured 7.1 on the Richter scale and caused widespread damage. Tourism New Zealand is working with Christchurch and Canterbury Tourism and emergency services in the region to get reliable information to visitors and travel sellers. The tourism community reports that 98% of its members are open for business. With Christchurch International Airport up and running, international and domestic visitors are able to land and depart as well as connect with other cities and regions. The earthquake has not affected other parts of New Zealand. Outside of Christchurch, the rest of the Canterbury region including Kaikoura, Hanmer and all ski fields are unaffected. Akaroa, on Banks Peninsula, has experienced only minor damage and is open for business. Car hire and campervan companies are conducting business as usual. All holiday parks are open, hotels are largely unaffected and only one motel and one hotel have been closed. Guests have been relocated elsewhere. Tourism New Zealand chief executive, Kevin Bowler, said the tourism industry was pulling together to support Christchurch and the city was recovering well - but safety remained the priority. "Christchurch city is recovering well after the earthquake. For safety reasons, Civil Defence still has a cordon in place around a few blocks of the central city but the remainder of the city is accessible. The cordon is being reviewed daily. "Virtually all tourism operators in the Christchurch region are open, but visitors are advised to contact their travel agents or accommodation providers before arriving in the city," said Bowler. For those transiting through Christchurch to other regions, holidays will be unaffected. Travellers who have bookings for travel to Christchurch and Canterbury over the next few weeks are advised to keep their bookings, and maintain regular contact with their travel providers for the latest updates, said Bowler. Christchurch and the Canterbury region has continued to experience after shocks since Saturday’s earthquake and for that reason some of the central business district remains closed to protect public safety. Night time curfews have been lifted, but restrictions on movement around the city will continue until further notice. All Christchurch bus services are operating as normal. THL (Maui, Britz, Backpacker and Explore More) tourism operators are all working again. InterCity, Newmans and GreatSights transport services in and out of Christchurch are also operating as normal. Due to inner city cordons, the pick-up point has been moved to the Christchurch Town Hall. Magic Travellers Network and Naked Bus services are operating on normal schedules, and passengers have been advised as to changes in pick up points. The Metro bus network has resumed operation, including services to both the Waimakariri and Selwyn districts. All rail services in the Christchurch area are expected to be restored today (7.09.2010) following repairs to damage caused by the earthquake. The Main South Line - which runs south from Christchurch - is open with a 40kph line-speed restriction, and the Midland Line west of Otira is also open. The line between Otira and Christchurch was expected to open today (7.09.10), again with a 40kph speed restriction, enabling the Tranz Alpine rail service to resume. The Main North Line - which suffered four kilometres of damage in the Kaiapoi area - is also open again. Tranz Coastal passenger services are expected to resume between Christchurch and Picton on Wednesday (8.09.2010) with speed restrictions within the earthquake zone. 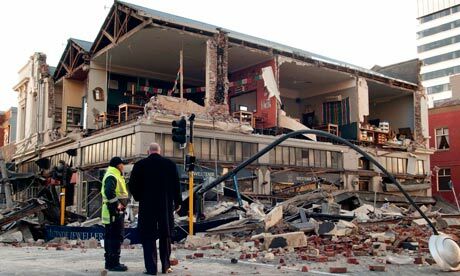 On Saturday, 4 September, at 4.35am (NZ time), Christchurch (population: 340,000) was hit by a strong earthquake - the biggest in New Zealand since 1931. There were no fatalities, and only two serious injuries were reported. The central city area was particularly hard hit and has been cordoned off from public access. It is expected the cordon will remain in place until at least Wednesday (8.09.2010 to ensure people’s safety while checks continue. To date 550 buildings in the city have been checked, and 5% have been marked as unsafe. A state of local emergency remains in place for Christchurch city, Selwyn and Waimakariri districts to enable emergency services to inspect and clear buildings. 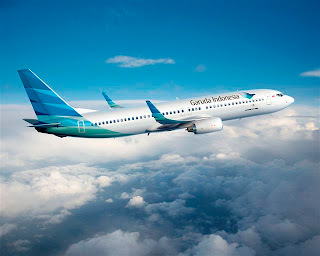 (Sydney: 07 September 2010): Indonesia's national carrier, Garuda Indonesia, will introduce a new daily direct service to Jakarta from Sydney, from December 20, 2010. Increasing the existing capacity by four flights a week, daily departures ex Sydney will provide travellers with more choice and convenience when connecting via Jakarta into Indonesia and beyond. Commenting on the new daily service, Bagus Y. Siregar, Senior General Manager Australia/SWP Garuda Indonesia said: "Garuda Indonesia's reputation and image is changing rapidly due to the airline's fleet growth and network expansion. The new direct daily flights to Jakarta will provide our customers with improved accessibility to the airline's vast Asian network as well as to the daily Amsterdam via Dubai service, introduced in August 2010. "While there is no doubt Garuda Indonesia remains committed to our valued leisure customers, we are also increasingly targeting the corporate traveller with Jakarta now positioned as an alternate gateway into Asia and Europe. 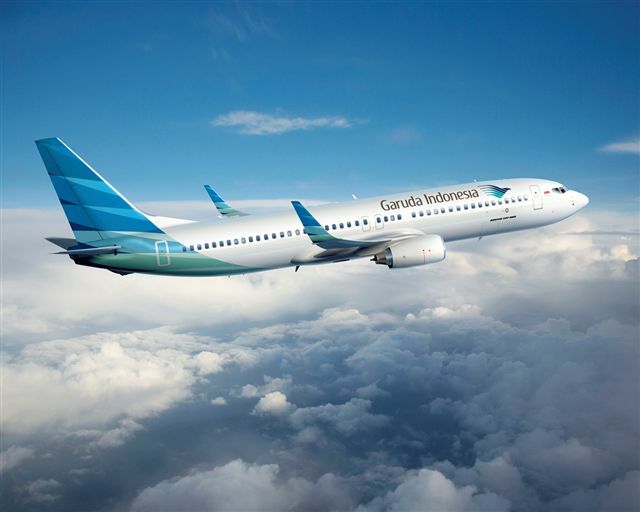 With future plans to expand the airline's European network to include Frankfurt, Paris, London and Rome, there is no doubt that Garuda Indonesia is an increasingly attractive option for business travellers." Daily flights will be operated by Garuda Indonesia's new fleet of A330-200 aircraft also currently servicing the three times weekly Melbourne-Jakarta route. The aircraft all feature Garuda Indonesia's new signature interior and individual touch-screen LCD TVs throughout business and economy classes with Video on Demand (VOD) entertainment systems offering 25 feature films and 250 audio tracks. Business class passengers will experience fully lie-flat beds. Garuda Indonesia is the national airline of Indonesia. It is a full-service network carrier and serves 28 domestic and 18 international destinations. The airline's main hubs in Indonesia are located in Jakarta and Denpasar. In July 2009, the airline unveiled a new aircraft fleet, new in-flight product, new service concept and a fresh corporate identity to mark the start of its transformation into one of Asia's most successful and profitable airlines. Garuda Indonesia received its IATA Operational Safety Audit (IOSA) certification in May 2008, recognising that the airline is fully compliant with global best-practice standards for flight operations, aircraft maintenance and safety management systems. In December 2009, the airline was also upgraded to a four-star rating by Skytrax, the global benchmark for airline service standards, confirming the improvement in its front-line product and service quality. Garuda Indonesia became the first Indonesian airline to reopen flights to Europe after the European Union's (E.U) ban prohibiting Indonesian carriers from operating in European airspace was lifted in July 2009. Asia's best business hotels, luxury resorts, spas, destinations, business cities, shopping spots, and the world's best airlines and airports. Results of Smart Travel Asia's 2010 “Best in Travel Poll”. Take advantage of the best spring snow in ‘The Snowys’ for years, by discovering the Snowy Mountains alpine wilderness on cross country skis or snowshoes! The Denman Hotel & Spa, in association with K7 Adventures, is offering for the first time the thrill of outdoor snow adventure packages. Now you can spend several days touring the Snowy Mountains wilderness in early spring, without the need to ‘rough it’ – returning each evening to stay in the lap of luxury. Whether a first timer or simply taking advantage of outdoor guiding company K7 Adventures wealth of experience in conducting cross-country ski or snowshoe adventures within this spectacular wilderness region, this is a unique opportunity. “Resort skiing is great, but if you go backcountry you will never forget the experience and will simply want more”, states Peter Cocker, K7 Adventures Senior Guide. This year has been a late season, but in August more than 200 centimetres of dry powder snow has fallen across the main range of the Snowy Mountains National Park. Peter comments: “This year the best skiing will be in September, lasting until at least mid-October”. 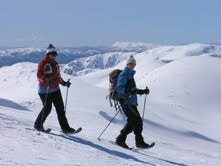 Why cross country skiing or snowshoeing in The Snowy Mountains? “Here are exceptionally long runs, and often your group will have the whole of the Main Range to themselves – there is not another track in the snow and you enjoy amazing scenery; you can often see for over 100 kms across Victoria”, enthuses Peter Cocker. There are four different all-inclusive 3-night value-added Denman Hotel & Spa Snow Adventure packages available. These are ideal for couples, families and small groups who wish to take advantage of this September and October’s great snow and blue skies. There is even a tented overnight Snow Craft learning adventure, or for the very young easy half-day cross country ski or snowshoe lessons are available. Prices start from just $1633 for a family of four. These are all-inclusive packages with luxury accommodation and meals at The Denman Hotel & Spa and instruction and guiding by expert K7 Adventures Guides. For example the Indulgent Snow Adventure includes two days of snow shoeing or cross country skiing lessons plus a full day Kosciuszko Majestic Tour with private guide, plus full breakfasts, 2 nights fine dining in the Terrace Restaurant, packed lunches each day including a special snow picnic as well as a bottle of Vueve Clicquot Champagne. K7 Adventure Guides are ‘mountain people’ who love where they live and live what they love. Its experienced team of guides and instructors spend winter after winter exploring the back country steeps, finding the sweetest lines and the purest untracked snow, the best views and most surprising angles that become a photographer’s delight. K7 Adventures prides itself on customer service and satisfaction. The Denman Hotel & Spa boasts a dress circle position at Diggings Terrace in the heart of Thredbo Village, just a few minutes walk to the Crackenback chairlifts. The Hotel offers 36 guest rooms with ensuites, with a wide range of room styles and sizes, compact to spacious, chalet to contemporary, with no two rooms the same. Room service, porterage and valet parking are included. Floor to ceiling windows offer stunning daytime mountain views and set the stage for award winning dining at the Denman’s Terrace Restaurant. The Denman Hotel & Spa has won the Restaurant and Catering Association’s “Best Restaurant Southern Region” and is Thredbo’s premier dining venue. Open in winter from 6 pm till late, guests enjoy a la carte dining as part of the Denman tariff. The Denman’s Après Bar is recognised as the Snowy Mountain’s most sophisticated nightspot. It's a chic metropolitan style cocktail lounge with comfortable seating –ideal for either pre or post dinner. Covering 690,000ha. the Snowy Mountains is the largest national park in NSW and one of the Australia’s most significant natural resources – with the highest mountains in Australia as well as the legendary snowy river. Besides having New South Wales' major ski resorts, the Park offers some of the best cross country skiing areas in the world, on its Main Range and Jugungal Wilderness Area. Thredbo is the perfect base from which to explore the Snowy Mountains National Park. It is reminiscent of a European mountain retreat, with its town square and Village atmosphere. It offers undoubtedly Australia’s best selection of après ski activities, with live music and dancing, restaurants and bars. Fifteen of Australia's leading independent luxury tourism properties have formed Luxury Lodges of Australia, a new association launched in 2010 to promote the uniquely Australian breed of luxury experiential lodges, domestically and internationally. The 15 member properties represent both long-established and new lodges and camps, with a common theme of offering guests an outstanding experience connected to a clear sense of place - while ensuring key luxury standards. Ranging from wilderness lodges to vineyard retreats and dining destinations; island hideaways to luxe outback camps; the lodges demonstrate high levels of innovation and are clearly aiming to be the 'best'. "In recent years, we have seen the emergence and consolidation of a new, unmistakably Australian breed of luxury properties and experiences. Luxury Lodges of Australia brings together a portfolio of sophisticated, experiential properties and will showcase it on the world stage for the first time," said Andrew McEvoy, Managing Director of Tourism Australia. The association's website www.luxurylodgesofaustralia.com.au provides discerning travellers with a comprehensive information and planning tool for completely Australian itineraries, linking closely and smoothly to each property's own website and booking systems. The properties are spread across more than a dozen diverse regions of the country and include Wolgan Valley; The Louise; Lizard and Bedarra Islands; qualia; Longitude 131; Cape Lodge; Lake House; Spicers Clovelly Estate and Spicers Peak Lodge; Capella and Southern Ocean Lodges; and Wild Bush Luxury's Arkaba Station, Bamurru Plains and Sal Salis Ningaloo Reef. Luxury Lodges of Australia was formed following a meeting in late 2009 where Jim Carreker, the owner of The Louise, invited the owners of the country's top lodge properties to discuss the potential of collectively marketing a diverse and uniquely Australian luxury portfolio, both domestically and internationally. James Baillie of Baillie Lodges, and Chair of Luxury Lodges of Australia noted that the collection brought together many of Australia's innovators and leaders in hospitality, tourism, food and wine, and regional development. "Having commitment and hands-on input from significant achievers such as Alla Wolf-Tasker, Skroo and Jude Turner, Charles Carlow and Jim Carreker reinforces my belief that now is the time to showcase the diversity and depth of Australian luxury experiences," he said. "The association sets a benchmark for luxury travel in Australia and the hope is that a handful of new lodges that are in keeping with the ethos of a luxury experience, connected to a sense of place, will join in the next 18 months. Pooling our marketing resources will greatly help us raise Australia's profile as a luxury destination." The leading hotels in Australia, New Zealand and the South Pacific have been recognised for accommodation excellence at the 2010 HM Awards, held in front of a record 520 guests in Sydney on Friday night, September 3. The 2010 HM Awards, presented by Sealy Posturepedic, awarded people, departments, properties and chains across 42 categories in front of the industry's leading hoteliers, staff, key suppliers and dignitaries. "Once again, the HM Awards were a magnificent showcase of the best the industry has to offer," said James Wilkinson, Managing Editor of HM magazine - host of the eighth annual HM Awards. "We have some of the most amazing staff and hotels the world has to offer and it has once more been a privilege to recognise excellence across the entire accommodation industry here in Australia, New Zealand and the South Pacific. "This year's HM Awards have been the most successful ever held. Everything about the awards was bigger and better, from the record 520 guests, to the incredible amount of entries we received in 2010, which exceeded 1300. "The Awards have become the pinnacle for excellence in this part of the world and HM magazine is proud to recognize excellence in every corner - from front office managers to General Managers and boutique hotels to accommodation chains," Wilkinson said. Rachel Argaman, CEO of Toga Hospitality, took home the most prestigious award on the night, the 2010 HM Magazine Hotelier of the Year. The award was voted on by the leading regional directors of hotel chains, as were the other three top awards on the night - Hotel Brand, Overall Hotel and Accommodation Chain. "The HM magazine Hotelier of the year recognition has become one of the most sought after awards in the Australian accommodation industry - and once again like Simon McGrath in 2009, Keith Barr in 2008 and Andrew Turner in 2007, we again had one of the finest hoteliers in this country taking out the award this year," Wilkinson said. In the other top awards, Accor's Sofitel Luxury Hotels was named Hotel Brand of the Year, InterContinental Hotels Group was named Accommodation Chain of the Year and The Observatory Hotel in Sydney was named Hotel of the Year. Other major Awards saw Craig Bond from The Sebel Albert Park Melbourne named Australian General Manager of the Year, Lynne McVicar from Queenstown's Hotel St Moritz named New Zealand General Manager and Wolgan Valley Resort and Spa win Environmental Program of the Year. It was a stellar night for Wolgan Valley Resort and Spa, with the Emirates-owned property winning a total of five awards, including Environmental Program, Best New Hotel, Regional Property, Unique Accommodation and Hotel Chef. Nominations in the HM Awards were open to hotel staff across Australia, New Zealand and the South Pacific. Over 20 leading travel writers and industry leaders decided on the property categories, while a special HM magazine team decided on the people awards in conjunction with Hostec. The judging results were again audited by Ernst & Young in 2010. HM (Hotel & Accommodation Management) Magazine is the host of the annual HM Awards, which were presented by Sealy Posturepedic. Co-hosts of the event in 2010 included AHS, Intrust Super, ISIS Hotel Projects and Philips. Best Western hotels in Christchurch, New Zealand are still open and operating for business, despite some damage caused to the city of Christchurch from Saturday's earthquake. Best Western Camelot Motor Lodge and Best Western Clyde on Riccarton suffered minimal damage and will continue to welcome guests to Christchurch. Ann Due, New Zealand Sales Manager for Best Western Australasia said, "Despite a short power cut, both hotels are back to operating as usual. 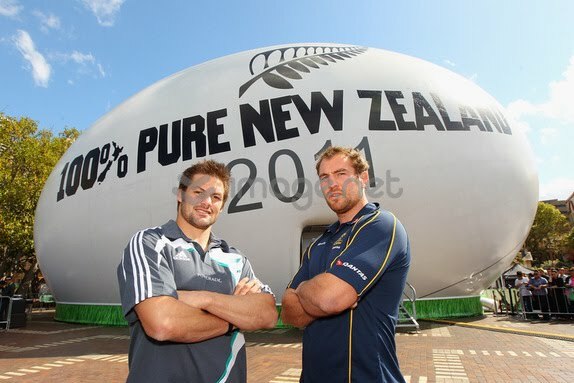 Our hotel owners are in good Kiwi spirits and look forward to seeing guests return to the area as soon as possible". Proving hospitality is still key even after a serious earthquake, the Best Western Clyde on Riccarton were determined to prove a point, even while their power was cut off, using the BBQ on Saturday morning to make coffees and teas prior to their guests departures. Penny Davidson from Best Western Camelot Motor Lodge praised Best Western for their quick response to the crisis saying that the offers of assistance and support were quickly forthcoming and greatly appreciated. Toga Celebrates Prestigious 2010 HM Awards Win! Toga Hospitality's CEO, Rachel Argaman, was named 'Hotelier of the Year' at the 2010 HM Awards last Friday night. The entire Toga Team are thrilled to have won the gold logie of the tourism industry! Rachel Argaman, CEO of Toga Hospitality, said: "We are thrilled and humbled to have taken home a significant award at this year's HM Awards! Without a doubt, this is a team award. The night was a wonderful occasion which gathered the best in the business as we celebrated all of our successes over the past year. Congratulations to everyone who was nominated!" The HM Awards are presented annually to showcase outstanding achievements within the hospitality and tourism industry across Australia, New Zealand and some South Pacific countries. A record 1200 entries were received this year. Toga's success at this year's awards followed suit with the company's strong and consistent annual performance in the HM Awards. Toga Hospitality is one of the largest accommodation providers in Australia and currently operates 51 strategically located apartment hotels and hotels in Australia, New Zealand and Europe. That currently equates to over 6,000 apartments and hotel rooms which vary in price, location and design in order to meet a range of different accommodation needs. Toga is looking forward to the opening of brand new hotels across the brands shortly including two new Adina Apartment Hotels (Hamburg and Berlin) at the end of 2010 and early 2011. Nine people were killed when a skydive plane crashed at Fox Glacier airport in New Zealand including an 18-year-old Australian man from Victoria. The 30-year-old former agricultural aircraft, a Fletcher FU-24-954, burst into flames after taking off, just before 1.30pm. All nine passengers- comprising of New Zealanders and tourists- died in the crash, Stuff.co.nz reports. "Unfortunately, we will not be skydiving for the rest of the day," said the message on the company Skydive New Zealand's answer phone. An employee of the company, when contacted, did not comment on the mishap. While the police are informing the relatives, the age or gender of the deceased has not been confirmed. The Sunset motel's spokesperson said the town was "devastated" by this accident. "We've lost five awesome people," she added. The motel is located near to the airport. The company, located in the glaciers since 1997, is owned by locals of the town of Fox. The procedure is used in the event of an engine failure. It has successfully brought troubled aircraft back to the ground (or water) from the Azores to the Hudson River. Now, the "engine off" approach is being used to give passengers more comfort and to reduce noise and air pollution. Just to ease your minds, the engines aren't actually "off." Passengers often fear that if a plane's engines give out, it immediately dooms the flight to disaster. Not so. Pilots have known from early in their training that altitude is your best friend. The higher up you are the better chance your airplane has to glide to a safe landing, no matter how heavy it is. Aircraft have an ideal airspeed to maintain that will give it the longest gliding range should it find itself powerless. Pointing the aircraft nose downward to ensure sufficient air is flowing over the wings, pilots use time and distance measurements to find the safest, flattest landing zone possible. Ideally, this would be a nearby airport. With that in mind, airlines are testing the plane-as-glider concept to make your flight smoother and more environmentally friendly. Using optimal distance and time measurements, more and more aircraft are testing what it known as continuous descent approaches (CDA). Typically, when your aircraft is ready to make its descent, engine power is used to "step" the plane down from one designated altitude to the next. This requires the on-again, off-again application of thrust – a procedure that burns more fuel – for each flight level, or altitude, that controllers designate. You can best hear this application of thrust as the plane approaches a runway. A greater amount of engine power is applied when the plane needs to keep its altitude as it approaches the runway. Conversely it is reduced when the plane needs to sink a little to keep its trajectory. Much like stepping on your gas pedal excessively, this procedure can waste fuel and can be noisy. The CDA procedure allows a plane to maintain a steady trajectory toward the runway from much higher altitudes. This allows the engines to operate at "idle" (actually at minimal thrust) as the plane steadily descends with barely a sound or stomach-churning drop. An aviation blogger describes this technique as going down a ramp versus going down stairs. Airlines throughout the world are testing the CDA technique. It can't be used in all circumstances (think stormy weather), however the fuel savings and pollution reduction puts the commercial aviation industry on a straighter path toward achieving carbon emissions targets set by various governments. It takes careful coordination between airlines, airports, controllers and agencies, but the implementation of this technique, combined with the adaptation of next-generation navigational aids, should give passengers a smoother, more environmentally guilt-free ride. As standards are developed under the guidance of the International Civil Aviation Organization (ICAO), agencies from the Federal Aviation Administration in the U.S. to Eurocontrol are developing procedures to take advantage of greener procedures and technology. With no known drawbacks, you can consider this technique a "slam dunk", meaning a sure winner. However, if you are an aviation geek who knows the typical definition of the term "slam dunk"1, you may not want to mention it in this case. 1The term "slam dunk" often refers to a procedure used by air traffic controllers to hold a plane at a steady altitude over a busy slice of airspace then bring it down rather quickly once the congested area is passed. This often leads to a rapid and steep descent and that funny feeling inside you would soon rather forget. Fiji has once again smashed all previous Australian visitor figures for a month of June with numbers released by the Fiji Bureau of Statistics this week showing the destination recorded a total of 27,651 arrivals for the period – a massive 48.3 per cent increase over the corresponding period in 2009. The record breaking figure eclipses the 18,673 total achieved for June 2009 and in the process takes the destination's total Australian visitor arrival tally for the 2010 six month period to 127,284. This represents a 43.9 per cent increase over the 88,420 achieved for the same period in 2009. Tourism Fiji regional director Australia Paresh Pant said the performance means Australian arrivals now represent close on 47 per cent of Fiji's total international visitor intake for the year to date. "Our Australian visitor arrivals are continuing to play a major role in keeping Fiji bang on track for its best ever year on record," he said. "This result is again indicative of the impact our overall marketing strategy for the destination in this marketplace is having in combination with the huge efforts we are seeing from our local airline, wholesale and retail partners which continue to keep Fiji very much in the spotlight." The Australian result has again helped take Fiji's international visitor arrival figures for the year into new ground with a total of 272,250 recorded for the January-June period. This represents a 21.5 per cent increase over the 224,334 recorded over the same six month period in 2009 with substantial gains recorded in Fiji's second and third largest source markets – New Zealand and the US – which increased by 16. 4 per cent and 9.1 per cent, respectively. The national tourist office's ongoing efforts in several key emerging markets are also continuing to pay off with visitor arrivals from China increasing by 31.3 per cent and Indian visitor arrivals climbing by 28.6 per cent. Traffic from the UK/Europe also increased by 3.0 per cent, the slight but positive increase attributed to the region's slow but steady recovery from the GFC in the period leading up to the key northern hemisphere holiday period.